My wife and I were watching Tuesday night’s episode of Genealogy Roadshow last night, and in general I enjoyed it. I’m especially pleased with how the series is presenting the viewer with tips on how to conduct genealogy research. However, there was one instance where I shouted back at the television screen in complete frustration. One of the individuals at the roadshow presented her question. She wanted to know if she was related to George Washington. One of the professional genealogist hosts told her that George Washington had no children, so she couldn’t be related to him. What?! Just minutes earlier one of the hosts had told someone they were related to Emily Dickinson. Not descended from her, but sixth cousin five times removed, if I recall correctly. How can a professional genealogist confuse the phrases ‘related to’ and ‘descended from’ and still call themselves a professional genealogist? By not clarifying this for the viewer, the show encouraged the misuse of the terminology. It’s not uncommon to hear people mix up ‘relative’ and ‘descendant.’ Back in 2010 People Magazine reported that the actor, Robert Pattinson, was descended from Dracula, instead of a distant cousin. (They've corrected the main article, but you can still see the original error in the photo caption.) A professional genealogist should not encourage this confusion, though. I created the Selected Posts page back in January of 2013, and didn't update it last year. I selected posts to highlight from 2013 and 2014. I had last updated this page back in 2012. According to my statistics, it continues to be one of the most visited pages on the site, which isn't surprising. Even though it is narrowly focused, it provides a good overview of obituary indexes and databases, as well as various library policies on how to obtain microfilm copies. Unfortunately, there wasn't much to change beyond updating a few links. The indexes haven't grown much in the interim except on the other side of the Mississippi. An index for the Freeburg, Illinois obituaries for 1999-2012 was added to the St. Clair Genealogical Society website in 2013. MyHeritage announced they had a free Mac version of their Family Tree Builder database software, so I decided to download it and give it a try. Not only because it was free, but I was hopeful it would handle something better than my current program. Hebrew calendar dates. I had good reason to be hopeful, MyHeritage is headquartered in Israel. I wasn't disappointed. MyHeritage allows you to enter all dates in one of three calendars - Standard (Gregorian), Hebrew, and French Revolutionary Calendar. (The last surprised me at first. However, MyHeritage may have a sizable French user base, as the software appears to be written to appeal to an international audience.) It also provides easy conversion between these systems. I am somewhat disappointed that they haven't added the Julian calendar to this component, but perhaps they will at some point. I clicked on Edit in the lower right. I clicked on the calendar icon next to the deceased date on the right side. It is also possible to add a secondary language for entering data. In the "Tools" menu, select Languages. You will be given a list of 40 languages! The order of information in the Hebrew language date is unusual. It reads: February 1924 , 8 Adar A 5684 13. 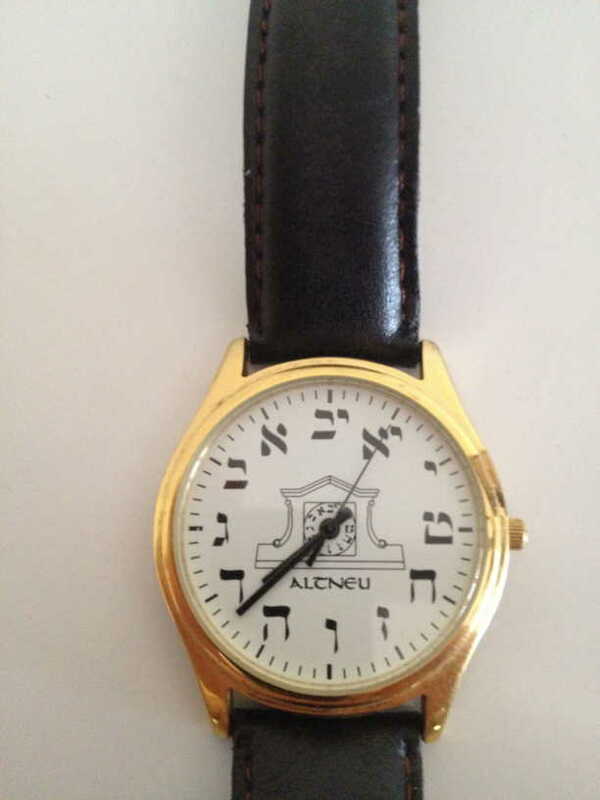 I am unsure why the Hebrew date is embedded within the Standard date in this manner. If I click on "Names" I am given several fields, including "Religious Name," which will be useful for me, as well as both a "Maiden Name" and "Former Last Name." The latter would be useful for those who have multiple marriages. Visually, I don't find the software's interface as appealing as my current software. However, its features could win me over. Currently I find it annoying that every time I load the software it asks me if I want to sync it with my "own family site" on MyHeritage. I don't have a family site on MyHeritage, and I don't want one right now. If anybody knows how to turn this pop-up off, let me know. The software is free, though, so it's hard to get too upset. I wrote this poem five years ago. George Van Every, the first son of my second great grandparents, Samuel and Abigail (Stuart) Van Every, was born eight months after the incident, in Dumfries, Brant County, Ontario - about 125 km from Niagara Falls. Downstream, the falls dried up. Then up to the sky, fearful. To walk across the bed. for their god’s next missive. of the U.S. Department of Energy Office of Science. I've seen several people on social networks and on blogs question why, when they email one of their potential cousin matches on a DNA testing site, they don't get a response. There can be reasons one wants the test, but doesn't want to communicate with relatives. For 23andMe their "DNA Relatives" feature is Opt-In. 23andMe gives you the ability to share information with other individuals who have 23andMe accounts through (i) our community forums, (ii) relative finding features (e.g., “DNA Relatives”), and (iii) other sharing features (such information is “User Content”). Please refer to your settings. You may be required to opt-in to some of this sharing, but some features require an opt-out. For example, we provide the ability to opt-in to our ancestry DNA Relatives Database where your information will be shared with potential relative matches. Alternatively, if you were participating in the DNA Relatives Database you may opt-out or change the visibility of your profile data by visiting your Settings. Also, please note that certain types of your User Content may be viewable by other 23andMe users and once posted, you may not be able to delete or modify such content. 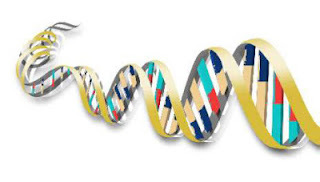 If the matching program finds a genetic match between you and another person in the database and you have each signed the release form Family Tree DNA will notify you via e-mail. If a genetic match is found between you and another individual who enters the library at some time in the future, both will be given the information that a potential match is in the database provided that BOTH of you have signed the release form. Only where both parties have signed the release form will we release contact information concerning the separate parties to the other party. In this way, all persons in the database will have the right to decide if they want to contact their genetic match(es). For users that signed the release form, Family Tree DNA may show your ethnicity breakdown to your genetic matches. However, you can opt-out of sharing your ethnicity and keep your results private with only you and the administrators of projects to which you belong by modifying your privacy settings here. I participated in the Autosomal Transfer of my Ancestry.com DNA test results. I don't recall filling out the release form that they link to in their Privacy Statement. I suspect I checked boxes stating that I was consenting, or there was language that by performing the transfer I was consenting, as I am able to email matches, and they are able to email me. It is possible I filled out an online form without remembering doing so. Make the following DNA matches available on my Family Finder matches page and show my profile/contact information to those matches. Also notify me about new matches by email (Immediate, Close and Distant only). "Yes" enables all of the above. "No" disables all of the above. It sounds like by selecting "No" I would disappear as a match from those relatives. And the option lets you choose different settings for Immediate, Close, Distant, and Speculative. These labels are defined here. Throughout your AncestryDNA™ experience, we want to ensure that you are comfortable with your settings and how much content you wish to make public. Below are some ways that you can control the privacy settings of your AncestryDNA account and DNA results pages. While this provides adequate privacy and security since you can use an anonymous username, not share your ethnicity profile, or your family tree, and refuse to respond to any messages that matches send you through the Ancestry message system, it doesn't seem to provide a way to hide you as a match completely so that you don't get any of those messages. It appears that among the three major DNA services, 23andMe or FamilyTreeDNA are the choices for someone who wants solely to find out their ethnicity breakdown without the Relative-Matching services. But none of them provide a complete 'cloaking' mechanism that would allow you to see all matches, but wouldn't let those matches see you. FamilyTreeDNA does offer "partial cloaking." One could say "no" to "Immediate" and perhaps "close" relatives and "Yes" to "distant" and "speculative." This would allow the person in the above speculated situation to communicate with more distant relatives, but remain hidden from the closer ones. However, it's not difficult to imagine a 3rd or 4th cousin telling the immediate or close match you're hiding from that you appear on their list as sharing the same chromosomes. So to truly prevent that from happening the person in the hypothetical situation mentioned would have to hide from all relatives. This is just one example of why someone might not be responding to your messages. (Even if they are at a service where they could hide their results, they might not realize it.) There are probably other reasons, too. My 2nd great grandfather, Moshe Leyb Cruvant, was born on June 12, 1858, according to Lithuanian records. His St. Louis, Missouri death certificate states he was born on July 1. A difference of 19 days. Julian to Gregorian conversion covers only 12 of those days - leaving 7 days to explain. My great grandfather, Barney Newmark, said he was born on March 25th, 1886 on his Petition of Naturalization, and said April 14th on his Draft Registration. He was born in Warka, Poland - during the time of Russian control of the area. There are 20 days between March 25 and April 14 - leaving 8 days to explain after calendar conversion. Moshe Leyb's son, Arkan-Ber was born on Dec 11, 1882 according to Lithuanian records. Moshe Leyb's son Benjamin, according to St. Louis records, was born on January 3, 1883. A difference of 22 days. 10 Days after conversion. Family researchers have figured these are the same individuals as well. The Yiddish name Ber (meaning 'Bear') commonly got changed to Benjamin in America. Furthermore, his tombstone says his Hebrew name was Ahron Dov. Dov is Hebrew for Bear, so this is a match. As far as I can tell, Arkan isn't a Hebrew name, but Ahron (Aaron) most definitely is. The 7, 8 and 10 day differences are pretty close to each other. We'd have to assume this was a coincidence, unless there was something that happened around 7-10 days after a child was born that could possibly be observed annually. Since all three individuals were Jewish boys, there is - a Brit Milah. Though I've never heard of a tradition of observing this anniversary, like a baptismal date for those of the Christian faith, it is a date that might be recorded by the family. According to Jewish Law, a Brit Milah can't occur before 8 days have elapsed, so this isn't a perfect explanation for Moshe Leyb Cruvant. But being off one day could be attributed to mathematical error in conversion, clerical error in the Lithuanian records, or several other factors. Brit Milahs are supposed to occur on the 8th day, and not be postponed, even for Shabbat or any other holiday. However, they can be postponed for health reasons, or in order to find an appropriate Mohel (the Hebrew word for the person who performs the circumcision.) Either of these may have been the case for Arkan-Ber/Benjamin Cruvant. Or, of course, this could all be coincidence. Slight differences in birth dates between records isn't uncommon. Just because the difference falls roughly the same for all three of these kin doesn't mean it's for the same reason. But still, it's a very intriguing possibility. I'll also note that my great grandfather, Barney, celebrated his birthday on March 17th. (He also claimed at times to have been born in Ireland, instead of Poland. There was a significant Irish community in St. Louis, and he may have thought it to be more advantageous to be Irish and born on St. Patrick's Day than Polish.) To my knowledge, he never wrote this date down on an official document, though. Which suggests to me he knew that it wasn't his official date of birth. However, some family members have grown attached emotionally to the date and seek evidence that it might be the correct date. If we ignore the Draft Registration, and note that Poland seems to have used both calendars simultaneously while under Russian control, so Julian-Gregorian conversion might not have been necessary - there are 8 days between March 17th and March 25th. 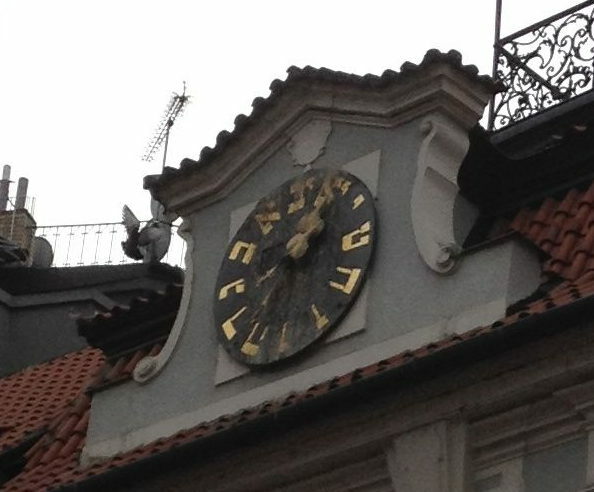 Jacob's watch broke while traveling in a small Eastern European town. He saw a shop with watches and clocks hanging in the window, so he opened the door. "My watch is broken, can you fix it?" Jacob asked, relieved the guy spoke some English. "No, sorry, we don't fix watches," the proprietor responded. "Do you sell watches?" Jacob asked. "Clocks! You must sell clocks!" "No, we don't sell clocks." Jacob was getting confused. "You don't sell watches, and you don't sell clocks?" "No, I’m a mohel," replied the man. "But the clocks and watches in your window?" In order to properly record a date from a document, you might need to know some geographical history. My paternal immigrant ancestors came from four different towns in the late 19th century. What do all these communities have in common? All were part of the Polish-Lithuanian Commonwealth, however, by the late 19th century, at the time my ancestors left, they were all part of the Russian Empire. This is a crucial piece of knowledge for a genealogist. Why? The Polish-Lithuanian Commonwealth was an early 16th century adopter of the Gregorian Calendar, however, the Russian Empire didn't switch to the Gregorian Calendar until 1918. So when the territory was under Russian control, the Julian calendar was used for official record keeping, and likely for everyday use. This means the civil calendar (non-religious calendar) all of my paternal immigrant ancestors were used to, prior to immigration, was likely the Julian Calendar. So, after arriving in America, when my great grandparents wrote down on a document what their date of birth was - were they using a Julian or Gregorian date? Your guess is as good as mine. It's possible that they made the 12-day adjustment when they immigrated to America. Or perhaps they didn't. I have to record both possible dates of birth. My maternal ancestors immigrated from Transylvania, Germany, Holland, and England. The first three areas adopted the Gregorian calendar in the 16th century, and Great Britain and her colonies adopted it in 1752. I have several maternal ancestors who immigrated to America prior to 1752, and when I see dates for them, if the source doesn't specify, I can't be sure if they're Julian or Gregorian. Steve Morse's website, popular among genealogists, has a Julian-Gregorian converter, and provides years each nation changed. However, one has to be careful with his table of years. 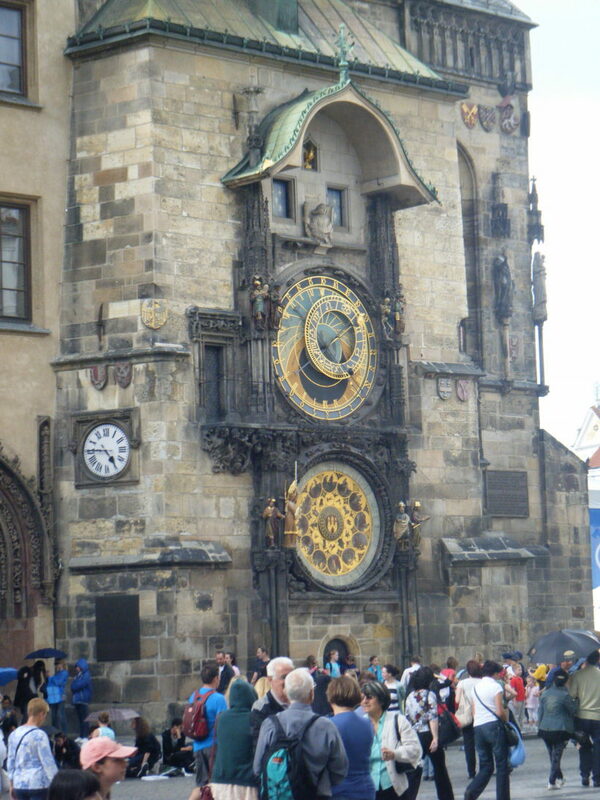 For example, he says Poland went to the Gregorian Calendar in the 16th century, which is accurate. However, once it became Congress Poland in 1815, it was under Russian control. Documents would often have Julian or both Julian and Gregorian dates (source). He says Lithuania changed to Gregorian in 1918, which is also true, but between 1586 and 1800, it was Gregorian as well. I'm unsure if the Polish-Lithuanian Commonwealth is the only example of territory which switched back and forth.